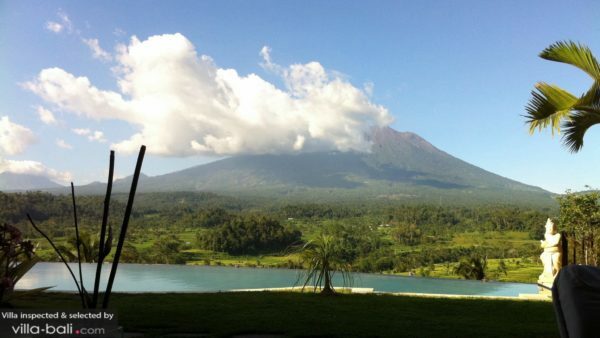 Finding the perfect villa for your holiday in Bali can be challenging. Why? 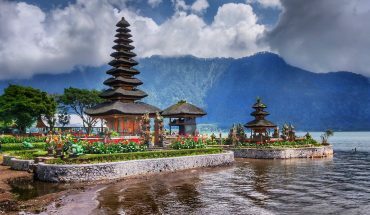 It is not the lack of beautiful villas that seem to come straight out of Bali magazines and holiday dreams, it is more the extensive range of amazing places to stay that makes it so hard to choose. Luckily, our team ready to help out anytime. The villa database consists of a hand-picked collection of beautiful private pool villas that we love. Traditional and modern, villas in the heart of the action and nature retreats, far away from everywhere. There are those ones that are ideal for families with kids, there are cosy love nests for romantic couples and honeymooners, there are party villas for groups of friends and epic event villas for yoga retreats and wedding. 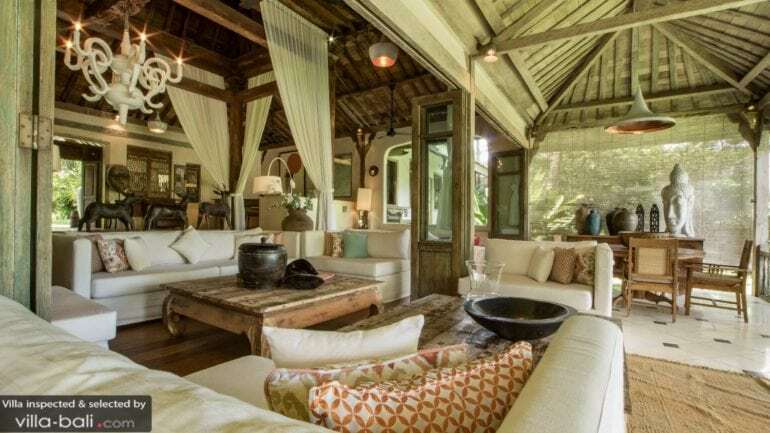 Villa Galante is a gorgeous 6-bedroom private vacation home in Umalas, featuring traditional Javanese Joglo houses scattered around in a massive garden with rice paddy views. The interior designs are rustic and sophisticated, there is an 18-meter infinity pool to jump into and the villa even has a private yoga studio, making it a great venue for yoga retreats and events. 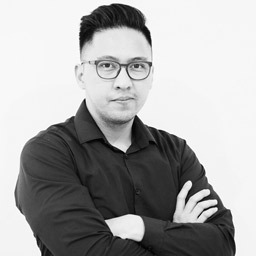 David is the founder, CEO and beating heart of Villa Finder. 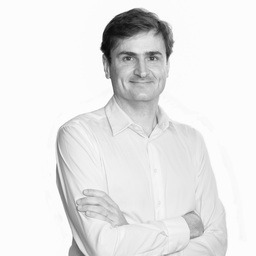 He has visited every single villa personally and works closely together with the team. Custom satisfaction is priority #1, hence, every villa in our collection is a tiny little paradise of its own for amazing Bali Island Stays. I travel with a Lindt Chocolate Bar. Always. I hate plastic bags and I am a real pain in Bali convenience stores when they try to place my stuff in a bag. Yes, it is those views of the Sayan Ridge and the Ayung River that make you want to stay forever at this beautiful hillside villa. 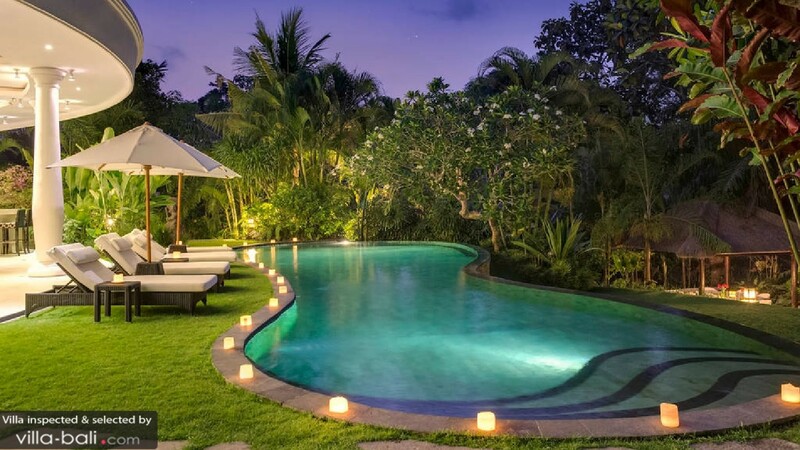 Melati is a villa of impeccable beauty and the triangle-shaped infinity pool really tops it off! The centre of Ubud is just a 5-minute drive away and there is a private chef at your service for the whole duration of your stay. 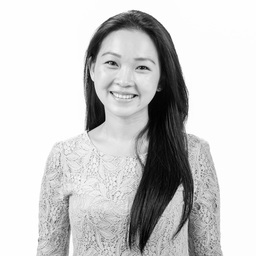 This lovely lady is Villa Finder’s Head of Operations. 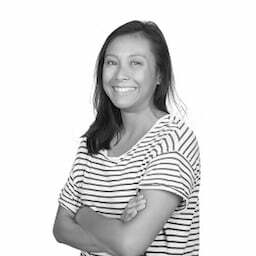 Maria was born in Jakarta, Indonesia, and she is the one who makes sure everything runs smoothly and everyone is happy as can be (team members and Villa Finder’s customers). I am a beekeeper wannabe who has always been living in big cities! I did a lot of road trips although my sense of direction is poor! That’s why I love google maps :p it made me lost sometimes, too! Never miss buying an ice cream everytime I see the ice cream shop! Do you love ice cream like Maria does? Check out Gusto Gelato! 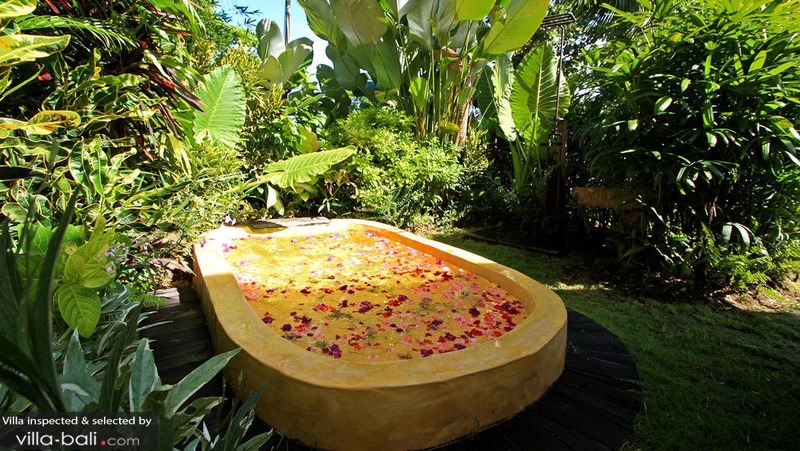 A private plunge pool in the bathroom. Does anyone feel like plunging? 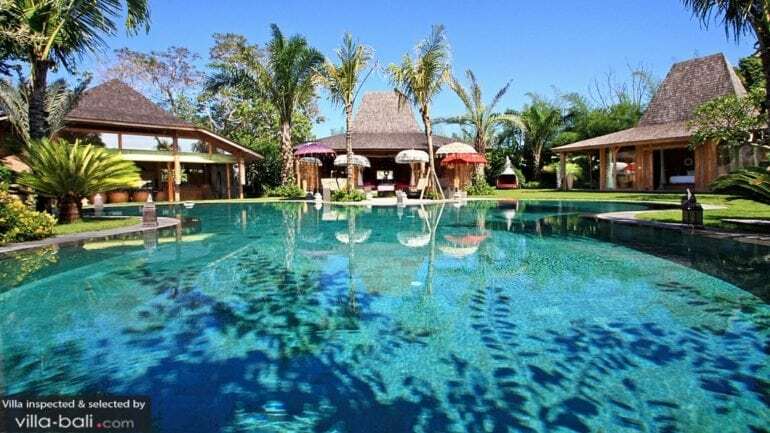 – Bali ethnic VillasA beautiful collection of 3 exotic private pool luxury villas, Bali Ethnic Villas is hidden away in quiet and peaceful Umalas, close to Seminyak and Canggu. Villa Kalua and Villa Kayu both have 4 bedrooms and Villa Ka is home to 5 bedrooms. 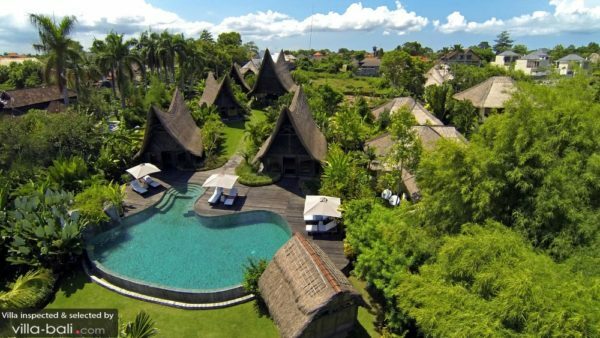 The estate is surrounded by rice paddies and each villa features rustic Javanese Joglo houses, big gardens with lagoon-like swimming pools and marvellous collections of indigenous artwork. An amazing island stay, indeed! I eat deserts 3 times as slow as other meals, so I can enjoy them longer. Living the dream is my life motto. I keep changing my mind about my favourite villa because there are just too many amazing ones! Related: I recently went out to inspect one of the Bali Ethnic Villas and I wrote a blog about it. Check it out here. 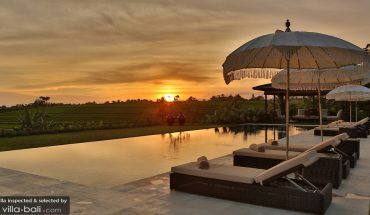 Nestled in the rice paddies of Umalas, on the side of a riverbank, sits this 5-bedroom traditional luxury villa. With its massive private garden and traditional Joglos situated around a 30-meter infinity swimming pool, it is no wonder that Villa Theo gets two votes from the Villa-Finder team. 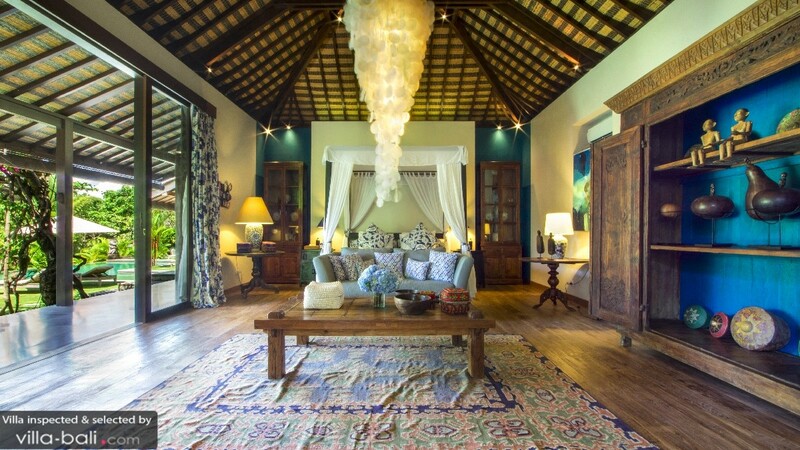 Each Joglo is individually styled with hand-picked artefacts, handwoven textiles, carpets and custom furniture. Villa Theo has a private spa to get some in-villa pampering, the ambience is absolutely tranquil and peaceful and yet it takes just minutes to get to the beach or to dive into Seminyak’s buzzing shopping, dining and nightlife scenes. 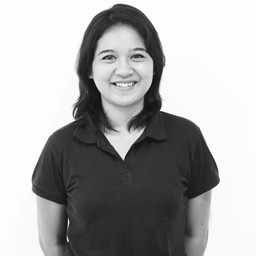 Weni is a Reservation Staff, indispensable when it comes down to booking your favourite villa in Bali. 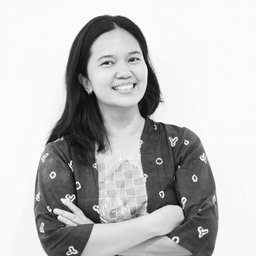 Diah is one of our Travel Consultants, helping you to find that perfect villa in Bali for you and your travel party. Just tell her what you want for the stay, she’ll help you find the right villa. I love to visit museums and check out old houses/buildings. It almost feels like it’s my time to speak with myself, think about ideas or plans of what to do/see, etc. 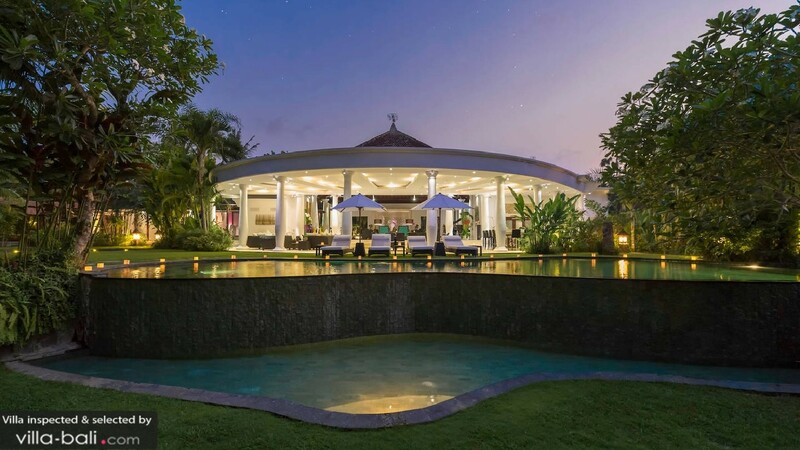 Villa Uma Wana Prasta is a huge 7-bedroom holiday haven in Canggu. The architecture is striking and the outdoor area is indeed like a tropical paradise with 2 private glistening swimming pools. You’ll have access to a tennis court, there is a media room with AC, a private spa, and the living room comes with a grand piano. Villa Uma Wana Prasta is a remarkable luxury villa that comes with a complimentary car & driver and 24/7 butler service. Wow! 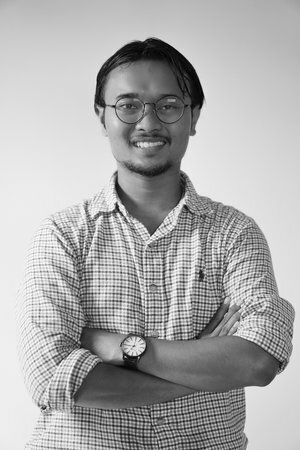 Trisna is another one of our awesome Travel Consultants who will go out of their way to find the perfect villa for you anywhere on Bali island. A nature enthusiast and anything related to it such as gardening, natural sport, animals and pets. 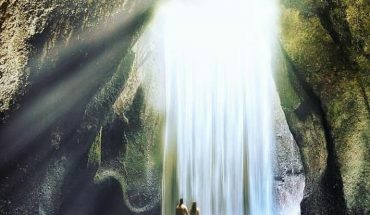 I believe nature is the best place to feel loved as it only speaks the language of Love. I love singing, however, I think the birds on my doorstep always sing better than me. 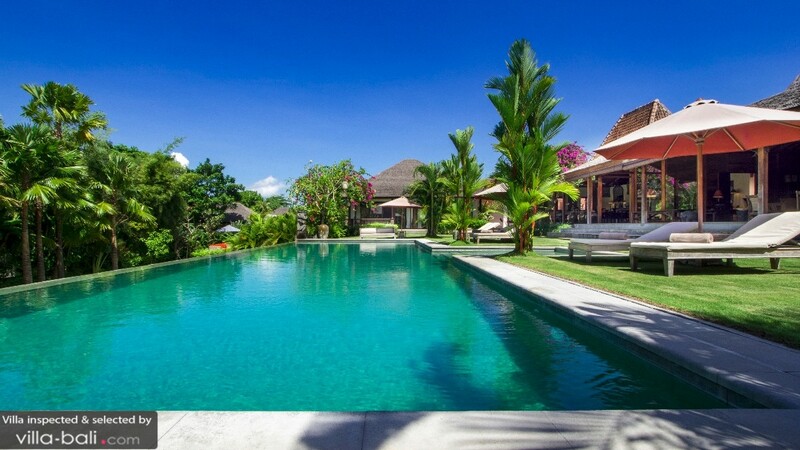 Check out other Canggu villas on our site! 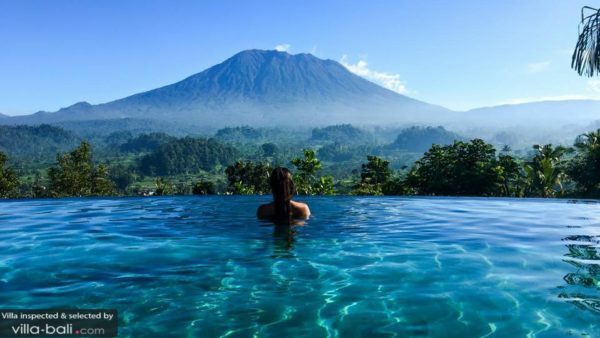 Who doesn’t love an infinity pool that faces the mighty, utmost sacred Mount Agung? I have one word for this view; ‘breathtaking!’ Villa Sidemen is a traditional Balinese house with 2 bedrooms built by the Royal Family of Sidemen in the 1980′ and it features beautiful intricate carvings on the walls, ceiling and doors. 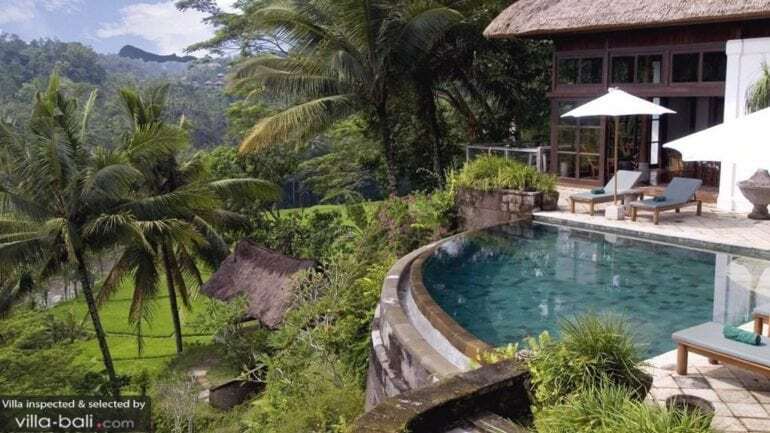 David Bowie, Mick Jagger and Roman Polenski have stayed at this traditional Balinese villa surrounded by valleys and rice paddies, and yet, it is still surprisingly affordable. I love sweets, especially chocolate! I love photography! Been exploring photography since April 2018 and I am deeply in love! This 6-bedroom villa is a definite heart-stealer; dazzling, fashionable and one of a kind. 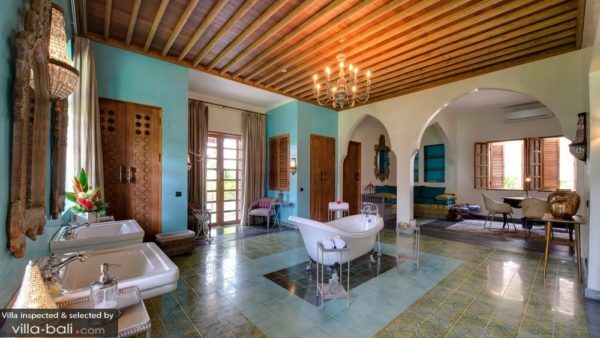 First of all, the villa is styled beautifully with bright colours following an alluring Moroccan-inspired theme. The French owners gave thought to details and it shows! Villa Sayang d’Amour is located right up in trendy Petitenget and it’s got unique features such as a custom-designed cubby kids house and a pool with a waterfall, floaties and a shallow area for the kids. On top of that, there is 5-star private chef ready to surprise you with delightful food. 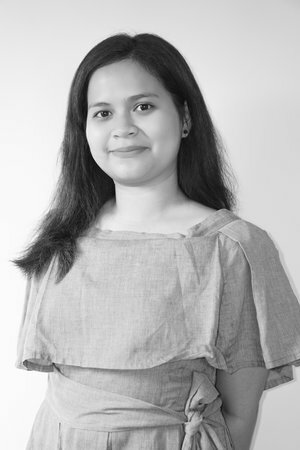 Nina is another one of our Bali experts & Travel consultants. It is her job to find the villa that matches all of your wishes. I love sweets (chocolate, ice cream, biscuit) and everything else that is considered fat foods. Do you have a sweet tooth like Nina? Check out our Guide to Chocolate in Bali for a chocolate-inspired holiday. Own Villa was built to resemble a traditional village with tribal Batak-inspired houses scattered around in a huge, lush green garden that makes you feel like staying somewhere close to paradise. In reality, you are finding yourself in Umalas, a peaceful area in between hipster Canggu and trendy Seminyak. Wood-carvings, ‘alang alang’ rooftops and a huge overflowing swimming pool with a built-in jacuzzi, at Own Villa, you will be living the tropical dream. 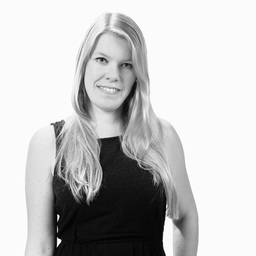 Jenny is one of our Travel consultants and Bali experts. 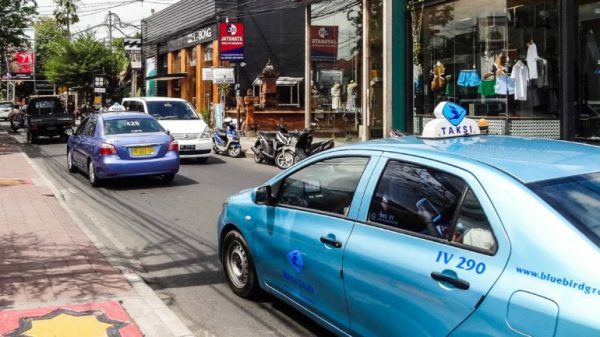 Talking about food – check out 15 of Seminyak’s best restaurants here. Sulawesi Earthquake: does it affect Bali and how can you help?